Practice is closed between 1 - 2pm for lunch. *The surgery is closed every Thursday afternoon to undertake administration. 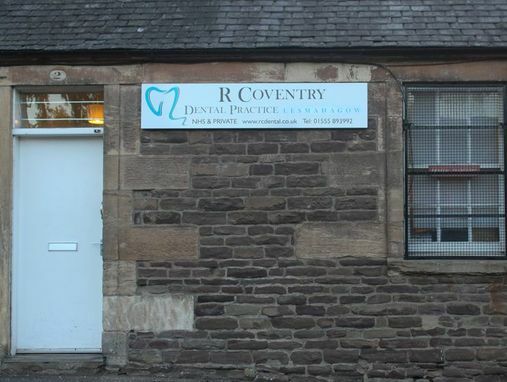 The office is open and a dental nurse is available to make appointments / give advice. The Saturday clinic is run by Heather Coventry. 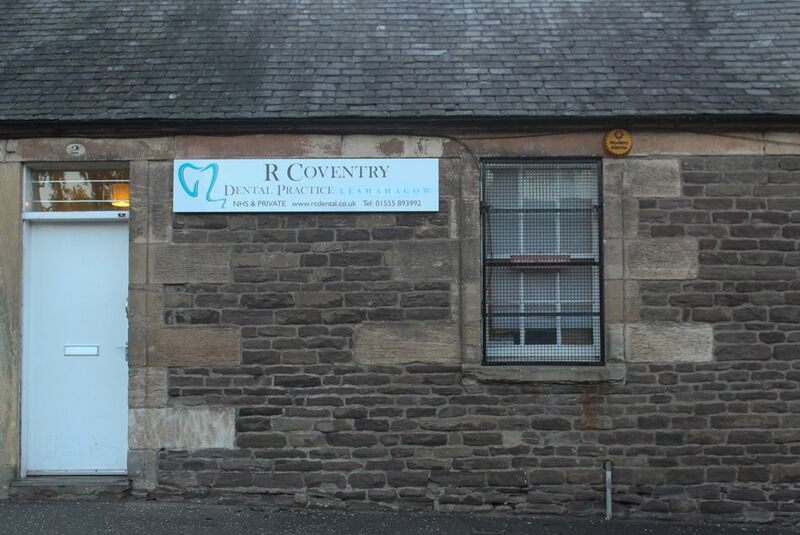 The Practice is centrally located in Lesmahagow Village, on New Trows Road, which is just off Abbeygreen road. It is opposite the Bank of Scotland and behind a bus top. See map. If you are unable to keep an appointment, please give us at least 24 hours’ notice. Missing appointments wastes time and resources, which could be used by other patients. Please note that if you regularly miss appointments, without providing prior notice, a charge may be made and you risk deregistration. Patients who regularly fail will not be considered appropriate for certain types of treatment. There is a free public car park beside the Bank of Scotland across the road from the practice. There is one step into the practice. We have portable foldable wheelchair ramps. Please note we do not have a chair hoist. If a patient is unable to transfer to the dental chair it is likely that we would not be able to treat them in the practice. What we can do is arrange a house visit to do an exam/assessment. We may be able to treat them at home; however it may be in the patient's best interest to refer them onto an appropriate NHS service. Please note there is no extra charge for a house call. If you have any concerns about accessing our services, telephone or email for advice.